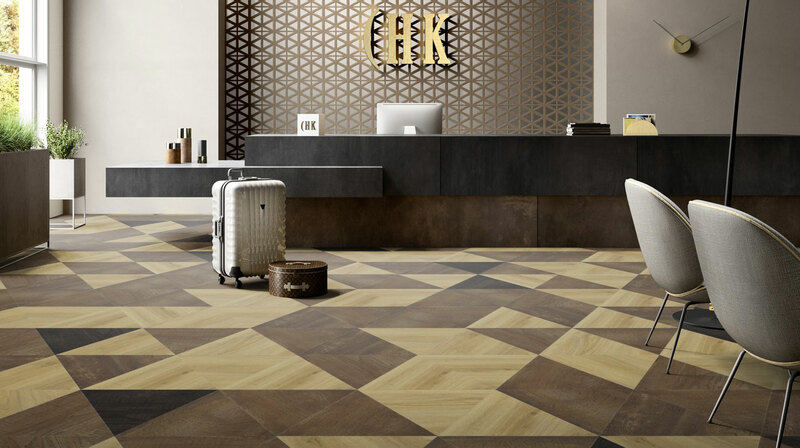 Astonishing design starts with inspiration, brilliant vision and provocative thinking. . 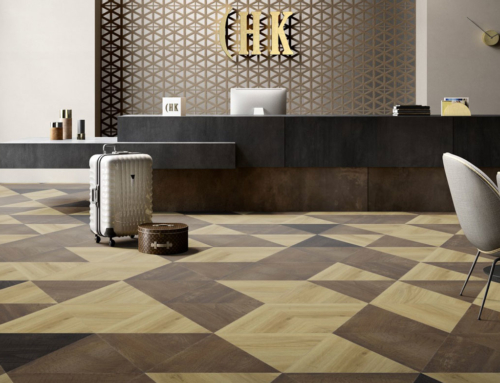 It comes to life with great materials, finishes and systems. Where concept meets solution, you’ll find Trespa Meteon. 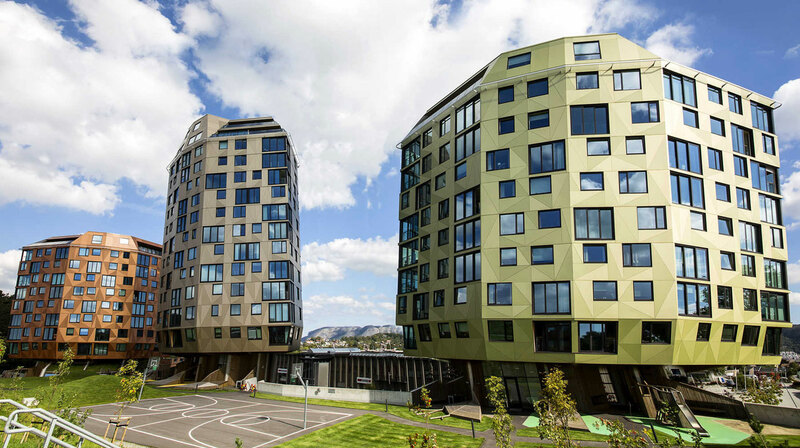 The Rundeskogen Towers in Sandnes, Norway, are an extraordinary example of the novel and exceptional use of Trespa panels and hybrid construction structures. Located in an area dominated by small-scale buildings, the three residential high-rises stand out by their volume and height. Yet, architects Helen & Hard and DRMM created a clever and distinctive design that integrates them with their surroundings and gives back to the community by creating abundant public spaces. Each tower’s design was inspired by forms found in nature. The structures vaguely recall a tree, where the star-shaped cores represent the trunk; the social and recreation spaces are the roots; and the cantilevered apartments spread out like branches. 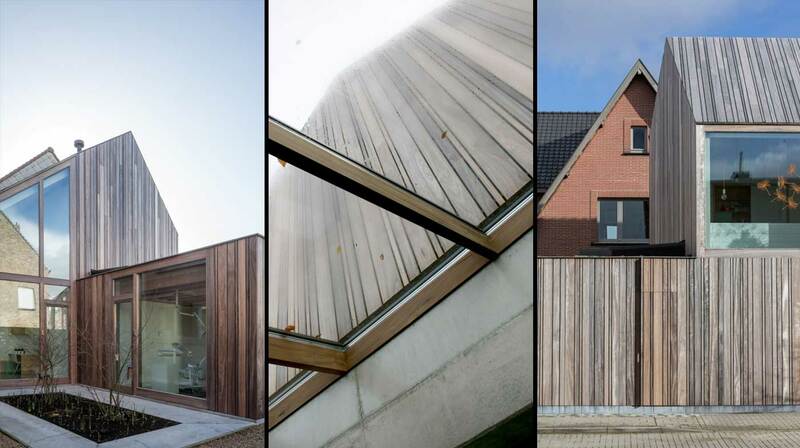 Both DRMM and Helen & Hard had initially conveyed an all-timber structure. 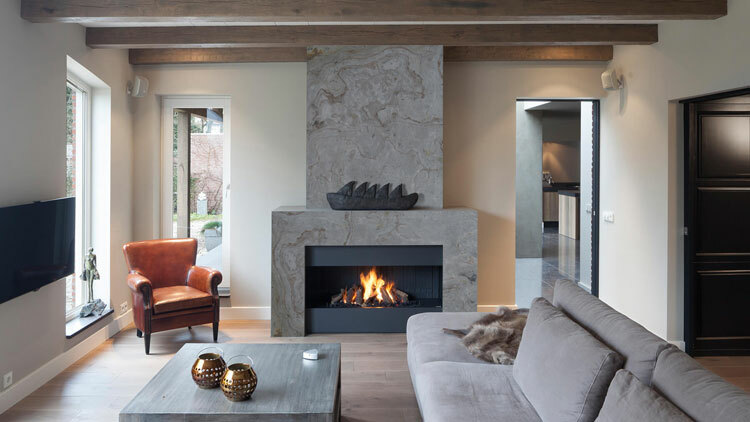 However, at the request of the client, they had to settle for a hybrid construction with concrete core and floors and timber framework in the walls. The octagonal shape of the buildings was optimized to maximise natural lighting, wind and views. Each of the 113 living units has integrated balconies that can be ventilated through folding doors. “Startingwith the diamond-shaped form, all our decisions were taken to make sure the design fitted into the context and to prevent blocking the views,” says Stangeland. Alex de Rijke, architect and director of dRMM, considered several materials to clad the façade of the towers. 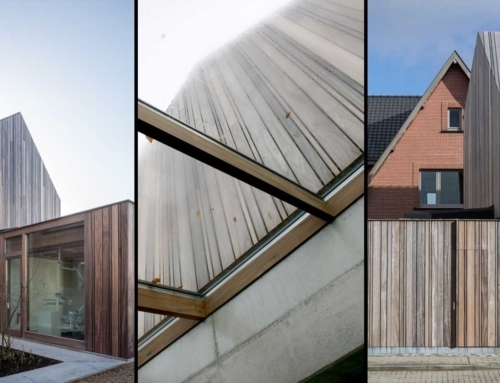 However, he particularly liked the three-dimensional effect created by the use of Trespa® Meteon® Metallics in the Golden House, a building which in the early 2000’s hosted a restaurant in Houten, Netherlands. 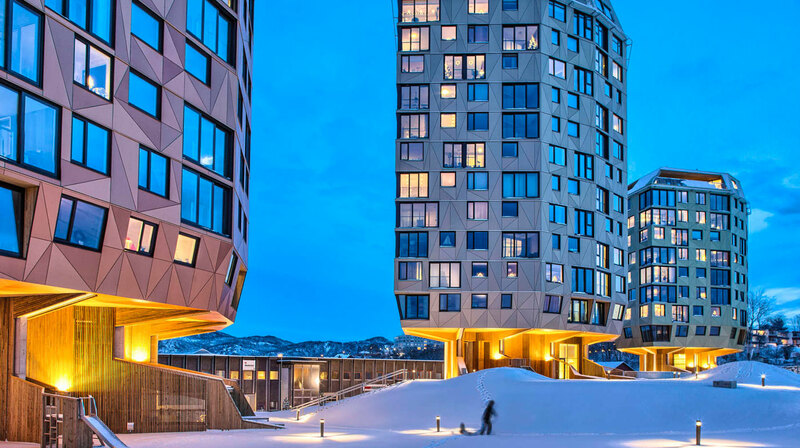 Helen & Hard’s architect Siv Helene Stangeland emphasises that all their decisions, from the use of triangular shaped Trespa® Meteon® panels to the towers’ diamond shape and volume, create a stunning visual effect. 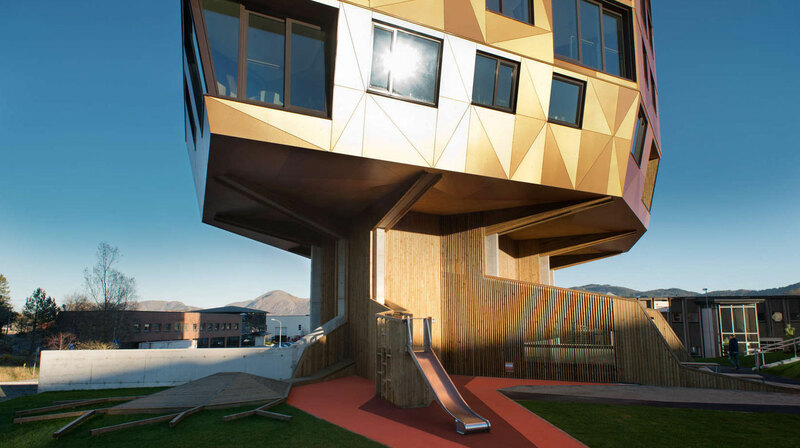 They also give the residential complex a playful expression. “After the raised platforms, the most striking thing is the colourfulness of the buildings. As you walk around the site, the beautiful but weak northern light gradually shifts around the façades. 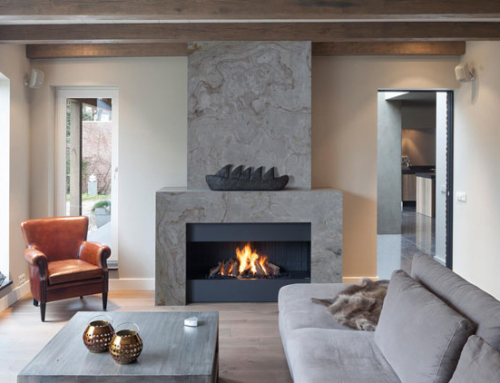 The Trespa® Meteon® panels were absolutely key to create this effect,” says Stangeland.